The Chiang International Rotary Club-Kru Payu Swim Children’s Water Safety and Drowning Prevention Program has completed a successful school year filled with 11 swim courses; one for each of the 11 public schools in Chiang Mai. During the course of this year, with the help and assistance Bronco Kids Sports Center, the Chiang Mai Municipality, the Chiang Mai Expats Club, and, of course, the wonderful swim instructors at Kru Payu Swim; we have taught almost 400, 4th grade students survival swimming and basic water safety. Our course consists of 5 hours of pool-side water safety instruction, including what to do when you see others in trouble, and 10 hours of in-pool survival swimming instruction. Around 95 % of our students complete the course successfully. Over the past 18 months we have tested, assessed, and revised various methods of instruction and have learned a great deal. We now believe we have an affordable program for communities everywhere in Thailand. We have also resolved the logistical problems of equipment and transportation and we have decided to use an adaptation of the United Kingdom’s Royal Lifesaving Society Commonwealth Drowning Prevention Program that has been so successful in Australia. Engaging the public school administration and the local municipality have also been crucial elements in our success. We believe we can now offer other Rotary Clubs and Thai communities a proven model for adaptation in their communities. We hope to expand our program using the Rotary Network and, of course, eventually we hope the Thai Ministries of Public Health and Education will want to implement a program, similar to the one we have developed and assessed, for all of Thailand. 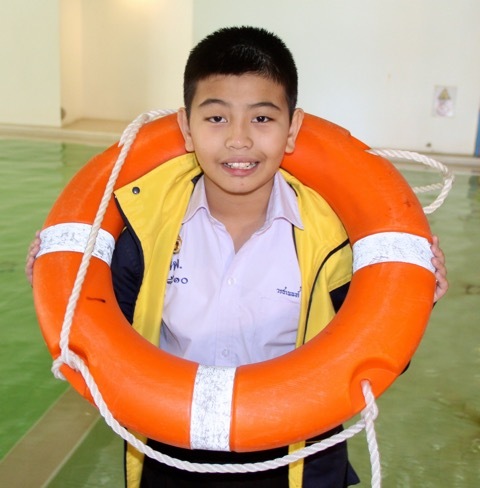 As we plan for next year, the Chiang International Rotary Club-Kru Payu Swim Children’s Water Safety and Drowning Prevention Program has applied for a grant from the U.K.’s Safe Child Thailand Foundation. If we receive funding it will be used to expand the program to Mae Sot and Nonthaburi. 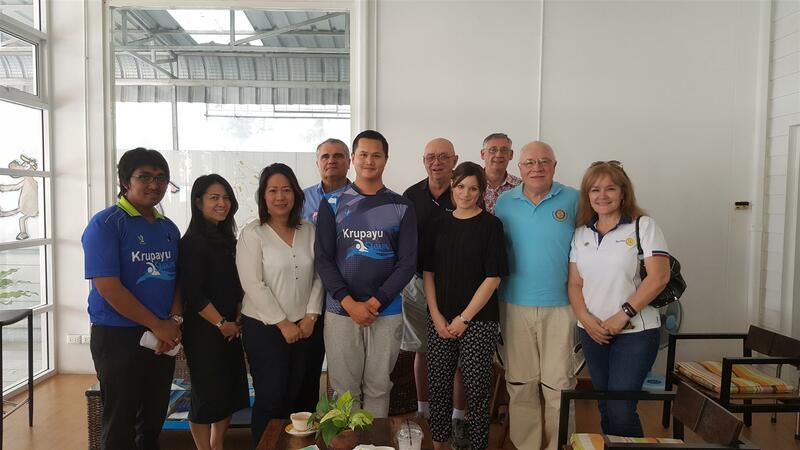 We are also in the early stages of a cooperative effort with the Rotary Club of Bua Yai in Korat. Of course, we also plan to continue to offer water safety and survival swim instruction to every public school 4th grade class in Chiang Mai. Kru Payu and team at project meeting.